In 2009 a historic development took place within angling, when six of the countries main angling bodies (ACA, FACT, NAFAC, NFA, NFSA, SAA) merged to form the first ever, all encompassing angling body; The Angling Trust. It was a vision designed to bring all of the fragmented bodies within angling together to form a cohesive, single umbrella group to represent angling’s needs, wishes and demands. Its aim was to unite anglers, whether they be coarse, game or sea fisherman. The belief was that independently, these bodies lacked the necessary power to make a large and sustainable impact at a political level. To implement the initiatives required to fight for angling at a governmental level. To be able to influence decisions that directly impacted on angling, anglers and the environment that we all love. For most anglers the thought of becoming involved in angling politics is mostly off putting and there is very little interest in getting bogged down in the tedium that is politics. To me that is one of the main reasons for joining the Angling Trust. For the annual fee, I get to go fishing and feel reassured that the main concerns within angling are being looked after by a team dedicated to fight for our rights and expectations. For a long time angling has been treated as a second class citizen. 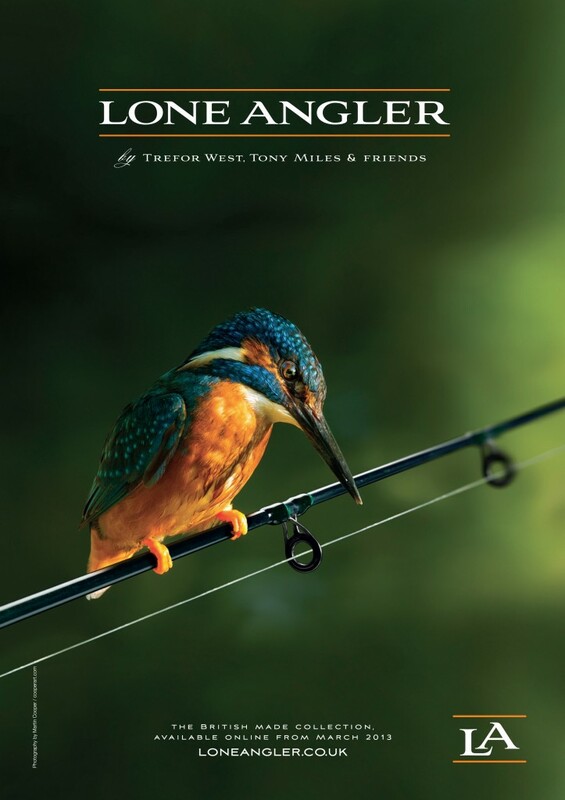 Most people see anglers as rather a strange bunch and in some cases they are probably right! Cormorants are decimating British inland waterways. This has been on the increase year on year. Numerous efforts have been made to protect fisheries with preventative measures like wires, cages, scaring devices etc etc. Thus far, most have failed miserably. The Angling Trust has stepped in with an initiative to tackle this spiralling problem. They have set up ‘cormorant watch’ so the angling public can report sightings of cormorants, mergansers and goosanders and log it onto a dedicated website. Through their efforts they have managed to lobby government into reviewing the current laws on the control of these birds. The otter is making a comeback and in some areas has had a devastating impact on fisheries. The Angling Trust has been involved in the otter debate with Natural England and the EA. Their aim is to stop further reintroductions and to investigate ways of reducing the impact of otters, particularly on commercial fisheries. The Trust is also involved in fighting invasive species. One of the main culprits here, as everyone will know, is the signal crayfish. Not only is it a pain in the proverbials but it is highly damaging to the environment and ecology of the river habitat. They feed on fish eggs and fry, thus impacting on the survival rate of future stocks. They also burrow deep into the river banks; you may well have seen the vast array of holes yourself? This causes the banks to become weaker and unstable and then easily eroded due to the effects of flooding. Along with the Association of River’s Trusts, The WWF and the RSPB, the Angling Trust is putting pressure on the Government to implement the measures proposed in the Blueprint for Water (www.blueprintforwater.org.uk). They are also working together in the ‘Our Rivers’ campaign. Both of these are designed to improve the health of the river systems in the UK. Further more the Trust is highlighting the impact of water abstraction and pollution and pushing for habitat restoration. This is perhaps the most vital part of its work and one which needs as much support as possible. It’s an age old problem and one which has been in existence since fishing rights began. Today, with a burgeoning population, it has become a problem. There is of course the social issue. If you pay for the right to fish, why shouldn’t everybody else? In some instances club bailiffs can deal with this issue and do. The problem has been exacerbated over the last few years by the cultural changes within the UK. Many of our overseas friends deal with fish in a different way than we do. They like to take fish for the pot and see this as a right to feed themselves. Here in the UK we protect our coarse fish and they are put back to fight another day. The Angling Trust has set up two initiatives to tackle this ever growing problem. Firstly they set-up the ‘Building Bridges’ project to highlight to the Eastern European community the angling culture in this country and how it differs from their own. Through newspapers and other community networks, they have utilised the help of Polish anglers to reinforce the UK’s angling laws and to drive home the way British coarse anglers in particular, return their fish alive. The other new initiative is the ‘Special Bailiff Scheme’ designed to stamp out fish theft. Its being trialled in the Southeast and will have 48 volunteer Trust members working closely with the EA’s team of enforcement officers to report on illegal activities on rivers, canals and lakes in the South East region. If successful, this could well be implemented nationally. It’s an exciting project and at last someone has taken responsibility for trying to stamp out illegal activities concerning angling, rather than just banging on about “someone should do something about it”. Pushing for removal of redundant structures in rivers, preventing the passage of fish and the installation of fish passes where removal is not possible. Press for clear reports to be provided by the Environment Agency to explain how angler’s money is spent in each region and nationally on fisheries functions. Trust and senior management of the Environment Agency, to oversee fisheries expenditure. Lobby for the decline in Government Grant in Aid to be stopped and reversed. Complete the formation of Angling Trust regional forums to provide a clear steer about how regional and national fisheries funds should be spent. Develop a political manifesto for all political parties to endorse before the Election. Attend all the party conferences to promote angling and encourage greater awareness of the issues affecting anglers. Get angling into more schools, involve more youth groups and give more children the chance to go fishing. Continue to develop with our member clubs County Angling Action Groups to increase local funding streams for angling development and work in partnership with schools to deliver angling on the curriculum. There are so many important issues that need dealing with, many off which we are too busy ourselves to worry about. Many anglers say they have no concerns themselves and some of these issues don’t directly impact on them. We really have to put this to one side and look at the bigger picture. We must fight for what angling needs, what our waterways need and the issues which we are passionate about. Perhaps it doesn’t affect you today but that day may well come. It’s time to unite and stand up for ourselves and the sport that we all love. Brilliant post! a great summation of why all anglers in the UK MUST join the Angling Trust right now. No more excuses, no whinging about ‘something must be done’, it’s up to each and every angler to put their hands in their pockets and give the Angling Trust the resources and membership levels the need to be an effective lobbying organisation. to stand up for our sport. Thanks for the post Nathan. Couldn’t agree more Tony. There’s too much apathy and too many people sitting on the fence waiting to see what happens before they join. It’s mind boggling really. Hi Nathan. Just found your site and I love it. River fishing is my love and by far the most exiting. There is something quite dull about fishing a pool where everyone knows exactly what’s in there. But regarding the angling trust……. I was in a tackle shop the other day and the owner was fuming about the closed season on rivers. He said there should be no closed season as there is none on lakes and canals. He said its nothing to do with breeding. He also pointed out that boats and dog walkers etc have no closed season. He told me that it dates back to the old days when the closed season was put in place to keep the peasants away from the river so that the lords etc could have it to them selves for a couple of months. He told me they are in the process of trying to get rid of the closed river season! Hi Peter, thanks for looking in and the kind comments. I’m not sure the AT are trying to change the river close season to my knowledge. On a personal front I used to be very much in favour of it. However these days I worry about the amount of poaching and predation that goes on uninterrupted and unhindered whilst the anglers take a 3 month sabbatical. Then as you mentioned the boat traffic carries on, as do the walkers and twitchers. Plus of course the anglers out looking at the river ready for the new season ahead. I’m not sure the river gets as much rest as we think, although probably nowhere near as much as in the summer and autumn months of the season. Then of course the fish spawn at different times and are very much affected by the weather and temperatures. Often barbel spawn much later than the June deadline. All in all I’m not convinced that the close season is anything other than a sentimental, outdated ideology that means far more to the sentimentalists than it does to the flora and fauna of our rivers. Well Natathan, since our recent correspondence in which you mention poaching, sadly I heard some awful news. From the mouths of no less than six separate anglers on different occasions I have been informed that two rivers and one lake near my old home town have been utterly decimated by groups of Polish / Eastern European’s who eat Carp, Pike and would you believe Roach! They catch them on deadlines that are left out and with basic spools of line etc. One of the people who told me about this horrendous problem was a bailiff. He went on to inform me that one of his colleagues had been tied to a post for attempting to stop one gang. He also informed me that the police are not interested at all as they say it is a local angling association matter!!! And …… In this weeks angling times there is a big article about dealing with Otters!!! It’s clearly not the Otters that we need to deal with! If six anglers including a baliff all know this…..how on earth can this ever be tolerated. Our treasured sport, with associations of nature loving, fish respecting anglers who care so much about the welfare of the fish, nation wide and we are allowing this to happen, right now, right under our noses! It’s been going on for a number of years Peter. I saw it first hand once on the Loddon on quite a big scale. It’s all very worrying. Hopefully the Angling Trust will help to tackle the problem. Hey Nobby, thanks for looking in. Hope you are keeping well? Anglers and angling need a unified voice. They need numbers to give that voice the power to be heard and be heard in the right places. Look at groups like the RSPB and WWF to name but two. They are very powerful and can afford to lobby and campaign for improvements and protection in the areas that they champion. If angling and the rivers and lakes that we love are to be preserved and enhanced, then it will take lots of time, hard work and bundles of cash. That can only be achieved by a cohesive and fully supported Angling Trust. If the AT had 750k members, instead of the pawltry and utterly shameful few thousands that it currently has, then so much more could be achieved.